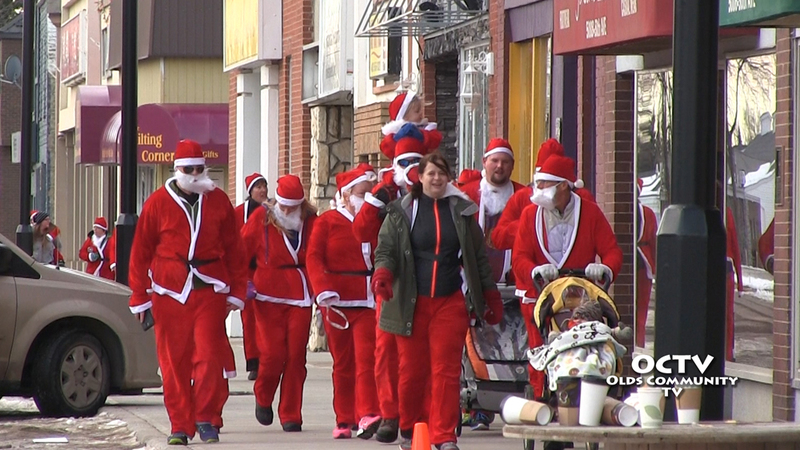 The first annual running of the Santas took place in Olds on Saturday November 22nd. 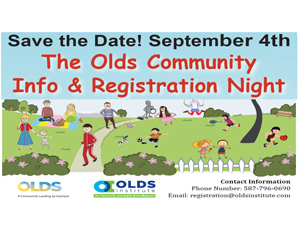 Hosted by the Olds Regional Exhibition formerly known as the Olds Agricultural Society the event had over sixty participants who ran or walked the course through the Uptowne Olds business district. 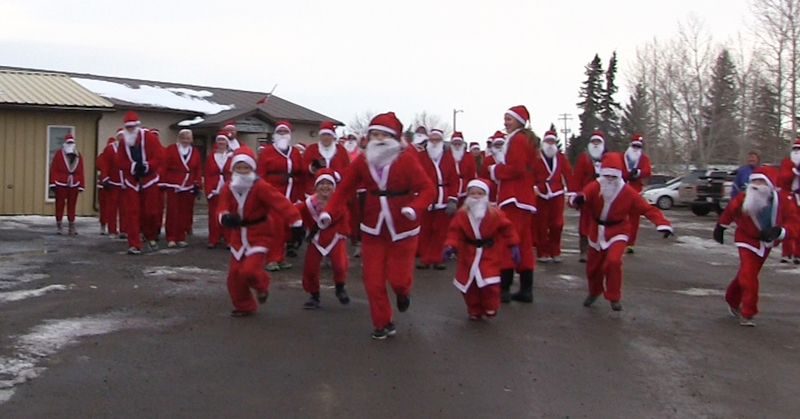 The Olds Regional Exhibition provided Santa costumes to many of the participants. 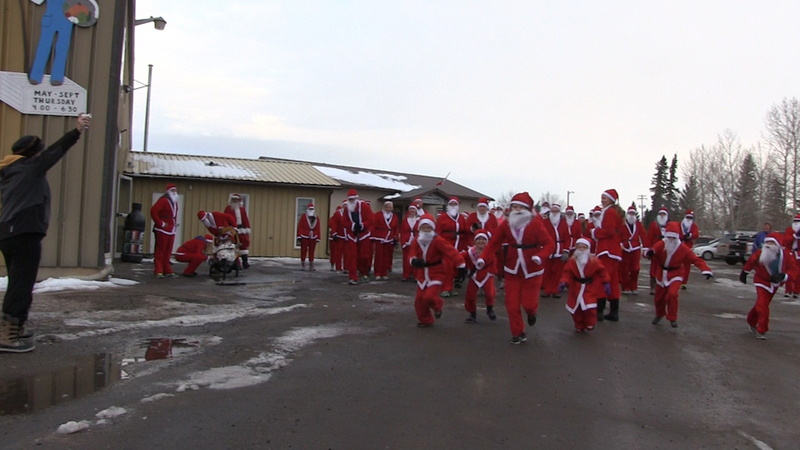 Also on hand was an ‘authentic Santa’ who handed out treats along the route.